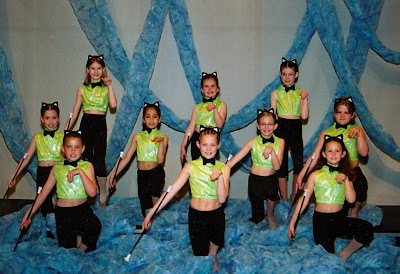 So tonight is the Slagle Studio Annual Baton and Dance Recital.....Frack's first recital was in 1999--she was 4 almost 5. She is now 14 ALMOST 15 (how did I get this old?) and tonight she is a spectator. She has a knee injury that won't let her perform tonight and she is scheduled for surgery on Monday morning. 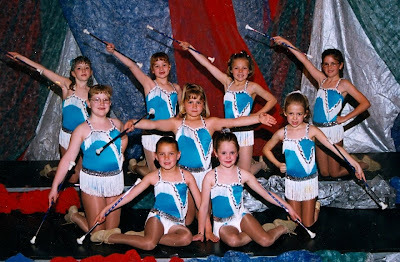 First twirling group.....she loves to twirl. She loved it from the first day her sister brought a baton home. Her sister...well, she...hated it. No joke. She would have rather had her eyes poked out. I loved this costume so much.....the little skirt was too cute. No matter what we did to keep it in place the sucker ended up underneath her armpits. Oooohhhhh the perils of being a rectangle shaped girl. Hard for me to help her with it since I am a big ol' pear shaped girl. Just sayin'. 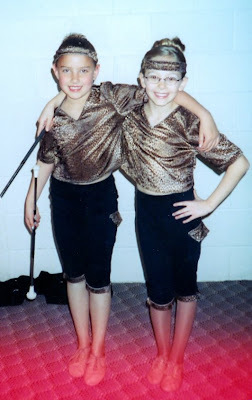 For about 4-5 years, she twirled with a partner as well as in a group. They were too cute--and now, well. They. Are. Terribly. Grown. Up. This costume was so easy.....no itchy scratchy, no sequins, just soft and flowing. It looked gorgeous on everyone in the group. Notice how Frack looks like an onion IN EVERY PICTURE...I am an expert bun maker. Not a hair out of place--ever--when I put a bun in it is meant to stay in. She could sleep in it for 3 days. Can you say hair product? 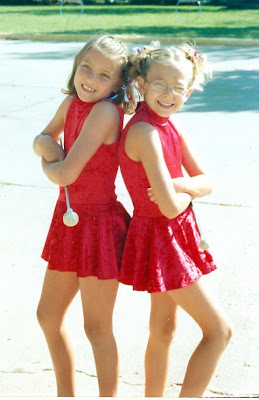 One year (actually more than one) we "invented" costumes to save $$$. And they looked great! Everybody was jealous. Loved this costume...again....easy maintenance....and looked good on everyone! Always a bonus. This is Frack's second favorite costume.....because she loved the song that went with it. 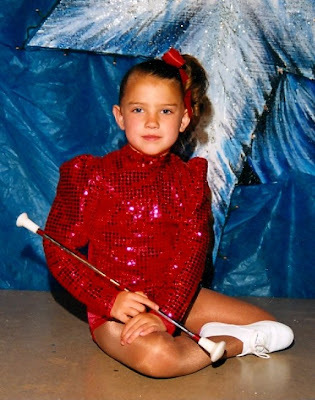 And she can still do the routine that goes with this costume...but she can't wear the costume. She thinks she can but her dad says notsomuch. 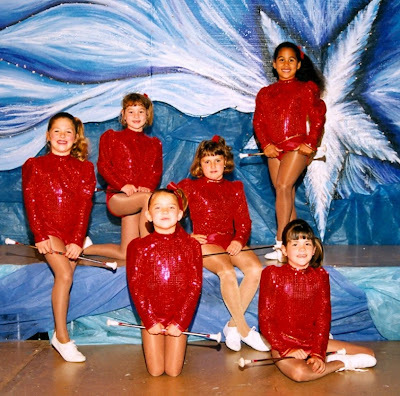 5th and 6th grade Drill Team. No comment. 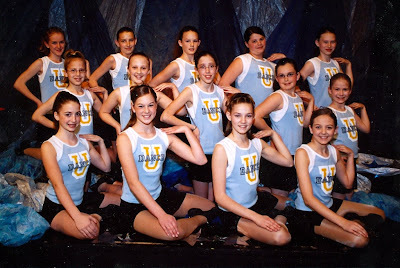 7th and 8th grade Drill Team. Cool gloves. This is Frack's favorite costume. 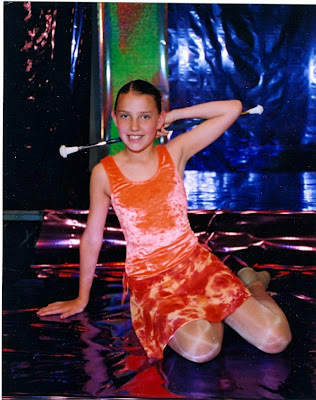 She loved the twirly skirt and the song--some Britany Spears song--Swing With Me. 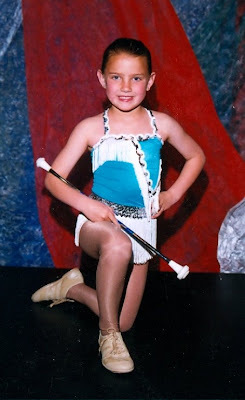 She can remember every song every costume every recital. 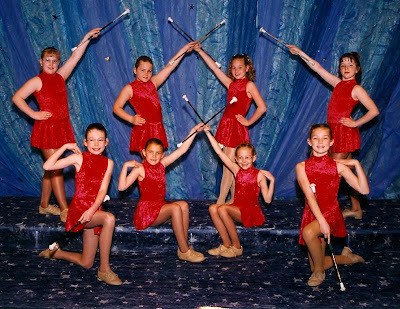 Like the time we went to recital with out a baton. Where the heck did she think we were going? Church? Tonight when we go....it will be sad. I enjoy seeing her twirl because she is doing something she loves to do. And when you have children, seeing them do things they love does your heart good.